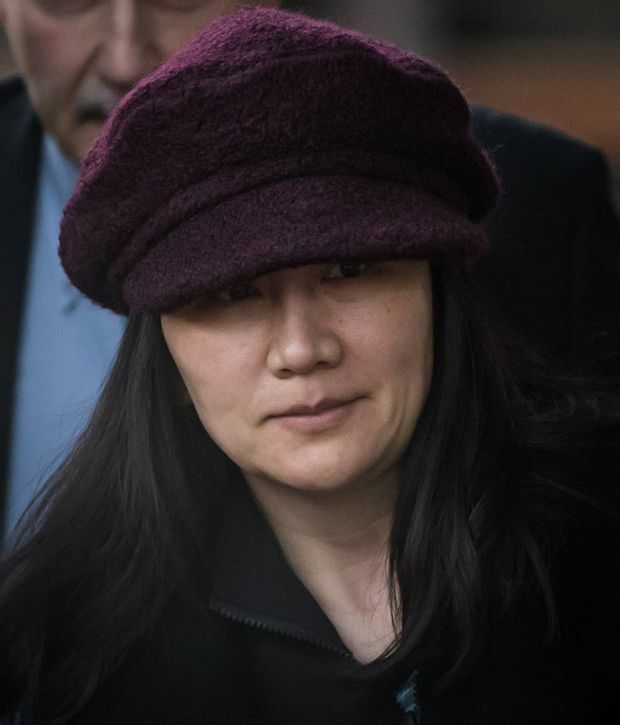 Canada has received a formal request from the United States for the extradition of Huawei executive Meng Wanzhou, officially starting the clock on a complex process that could ultimately see her sent stateside to face multiple charges of financial fraud. Federal Justice Minister David Lametti has until March 1 to determine whether to issue an authority to proceed. Mr. Lametti confirmed the request one day after U.S. authorities unveiled two indictments totalling 23 charges: a 10-count indictment against Huawei Technologies Co. Ltd. related to theft of trade secrets, and a 13-count indictment against Ms. Meng, the telecom giant and two of its subsidiaries alleging bank fraud, sanctions violations and orchestrated obstruction of justice stretching over more than a decade. Meng Wanzhou leaves her home in Vancouver to attend a court appearance regarding her bail conditions on Tuesday. Ms. Meng, who is living in her Vancouver home, appeared briefly in B.C. Supreme Court on Tuesday for a bail adjustment hearing. She wore a black tracksuit and had her hair clipped back; she smiled and seemed at ease, quietly chatting with her legal team. Ms. Meng was released on $10-million bail in December, including $3-million pledged by a small group of friends acting as sureties. Robert Cheng, a friend and realtor who sold Ms. Meng and her husband their two Vancouver homes, had pledged the entire value of his $1.8-million home, but was missing one required document at the time of the bail hearing, so someone else stepped in with the money. Tuesday’s proceeding was to replace that person with Mr. Cheng and his wife, as intended, Mr. Martin said. Ms. Meng also added four more lawyers – from Peck and Company in Vancouver and Fenton, Smith Barristers in Toronto – to her legal team, bringing the total to seven. China’s deputy consul-general in Vancouver, Wang Chengjun, was present for Ms. Meng’s brief court appearance. When asked to comment on the charges against Huawei and Ms. Meng, Mr. Wang said they need only to follow the judicial process. “We don’t interfere with Canada’s justice system,” he told The Globe and Mail outside court. Justice Department lawyers must determine within 30 days after deadline for the receipt of the formal request whether to issue an order to proceed with the extradition. An extradition hearing in the provincial Superior Court would follow. The judge could order the person discharged and released, or extradited, pending the decision of the Justice Minister. Even then, a minister’s decision can be appealed to a Court of Appeal and ultimately the Supreme Court of Canada. Leo Adler, a Toronto-based criminal lawyer specializing in Canadian and international law, said the matter could easily take years. “If, on her behalf, you’re bringing applications for disclosure, for all kinds of other prehearing matters, it can very easily drag out,” Mr. Adler said. Ms. Meng was arrested on Dec. 1 as she was transiting through Vancouver International Airport.